Whether you are moving into a new home, or updating the grounds of the home you already live in, landscaping can dramatically change the look and value of your house and property. You may like a neatly trimmed lawn/shrubs or prefer a wild and overgrown look, one of our landscape design consultants will work with you to make your vision become a reality. 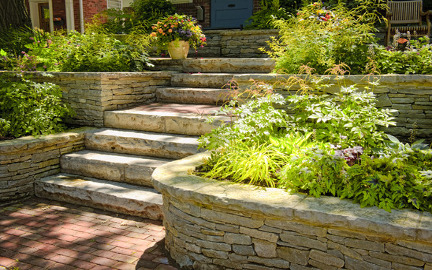 There are two main elements in landscape design. These two elements are Hardscape and Softscape. 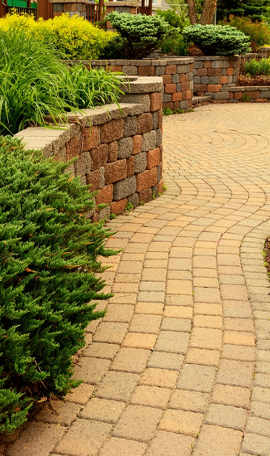 The perfect landscape has a balance of both hardscape and softscape. 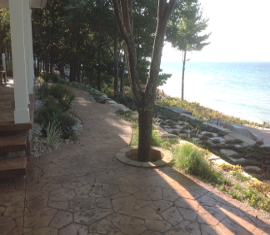 Hardscape refers to the solid, hard elements in landscape design that stay the same for years. 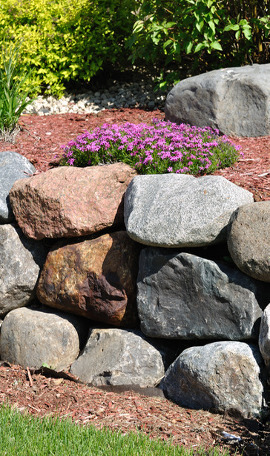 Some examples of hardscape are boulders, walkways, retaining walls, paver patios, outdoor fireplaces, stone outcroppings, decks and driveways. Softscape refers to the live, moving or growing elements that change from year to year. Some examples of softscape are soil, plants, shrubs, trees, flowers, vegetables, vines, and turf. After contacting us, we set up a mutual time for one of our landscape consultants to stop out and visit you for an initial consultation. The purpose of this meeting is to get a sense of what your vision and goals are for your home or property. Our landscape consultant will do a site analysis of the property. The consultant will be documenting the sunlight conditions, views into and out of the site, locations of utilities, etc so that when it comes to developing ideas, proper sizes, locations, and materials are used in the design. Initial thoughts and ideas from both parties will be discussed to try and narrow down your vision and expectations. Our landscape consultants use the information from that meeting to create a custom hand drawn landscape plan, which is then presented to you. Once you have a complete understanding of the design, any necessary changes or adjustments will be made to meet or hopefully exceed your vision. For more complicated designs our hand written plan will be taken to the “drafting table” where our professional landscape designer will use his expertise to produce a beautiful solution that will fulfill your desires for this project. Your project will be broken down into logical milestones and priced separately so that you end up with a detailed list of the phases along with an understanding of where your money is going. Our experienced landscape installation crew takes the plan from paper to reality, using a range of high quality softscaping and hardscaping that was layed out in the landscape contract. Success of your landscape is dependant upon proper care of it. 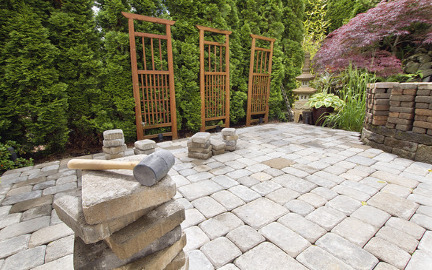 After your project is complete we will setup a maintenance schedule and/or provide you with instruction on how to properly care for your landscape.